With the influx of recalls, two of the biggest challenges for manufacturers and dealers are locating vehicle owners and implementing an effective communication strategy that compels those owners to bring their vehicle into the dealership for repair. 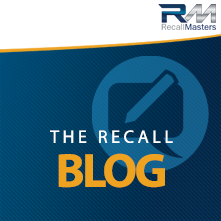 Consumers affected by a vehicle recall vary from those who see news reports and immediately go into panic mode, to those second-generation owners not listed on recall lists as the current owner, who get no notification and remain ignorant. While the information is out there for consumers to find, will they go looking for it? And, if they do hear on the news, or get a notification that their vehicle needs a recall repair, where do they turn for more information? Well, many go right online and check out their local dealership’s website and the search yields disappointing results. In turns out, dealerships either push consumers off to the manufacturer’s website or offer no information at all. Some dealers are fearful that being transparent about recalls on their websites could turn off prospective buyers. But is that true? Vehicle owners have a right to know if their vehicle has an open recall. If a consumer believes that their make and model may be plagued with a recall – especially those that are safety related – they want more information. Most dealer websites provide sparse service information and pretty much stick to the marketing and imagery that comes with selling this year’s model. There’s just not a lot of service-related information on dealer websites, let alone any recall updates. Imagine if your dealership bucked the trend and became a source of information for your customers. What would that accomplish? To start, providing recall information on your dealer website helps build consumer trust. You can become a trusted source of invaluable information, not only for customers, but for prospective customers in your community. Your website can’t mask the fact that recalls exists, nor should it. Consumers are then forced to go elsewhere for the information, which could lead them right to your competitors’ websites. Consumers can easily bombard your dealership with call after call, trying to figure out the details of a recall repair, parts availability, information, etc., putting a drain on dealership resources. Due to lack of information, consumers can then choose to opt for another brand altogether, because they don’t want to risk acquiring a vehicle prone to OEM defects, or don’t want the future hassle of having to get something repaired. Obviously, you can’t include EVERY recall on your site. However, you can easily identify those which have the most inquiries and/or are the most important to repair for safety reasons. For these include information such as: a) what the recall is, b) parts availability and shop capacity for these repairs, c) estimated duration of repair, and d) instructions on how to set an appointment. Include a list of amenities your dealership offers to those bringing in their car for a recall repair. Do you offer loaner vehicles, shuttle service, a $50 gift card for use on accessories, a car wash, multi-point inspection, etc.? Clearly communicate all that your dealership offers and thank them for their time. This helps win their trust. A recall is perceived as an inconvenience to most consumers – make sure you show your appreciation for their time. Add a link to known sites such as MotorSafety.org or safecar.org, so that the customer can input their VIN and learn if they have any recall outside of the major ones. Position your dealership as a source of valuable information to your customers up front, so that they know what to expect. This helps reduce customer frustration, helps service department capacity remain at sustainable levels and maximizes ROs. It also separates your dealership from its competitors by not shying away from some uncomfortable issues, but rather proactively offering consumers the assistance they seek. Perception, after all, is for many, their reality.